St. Martin's Press, 9780312312923, 256pp. 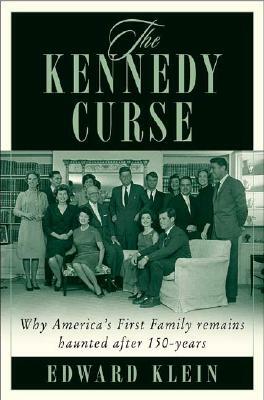 In this probing expose, renowned Kennedy biographer Edward Klein-a bestselling author and journalist personally acquainted with many members of the Kennedy family-unravels one of the great mysteries of our time and explains why the Kennedys have been subjected to such a mind-boggling chain of calamities. Edward Klein is the author of the "New York Times" bestsellers A"ll Too Human: The Love""Story of Jack and Jackie Kennedy" and "Just Jackie: Her Private Years." He covered John F. Kennedy's 1960 presidential campaign, served as a foreign correspondent in Asia, and was foreign editor of "Newsweek." During his eleven years as editor in chief of "The New York "Times "Magazine," it won the first Pulitzer Prize in its history. His articles have appeared in "New York," "Manhattan, inc.", "Vanity Fair," and "Parade," for which he also writes "Walter Scott's Personality Parade." He is the author of the novel" The Parachutists." He lives with his wife, Dolores Barrett, in New York City and Bridgehampton, Long Island.